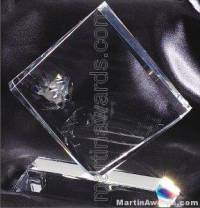 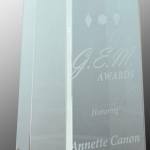 Stunning 3-Dimensional Diamond mounted atop a Tall slender Clear Crystal Pedestal Base. 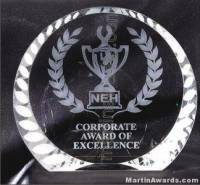 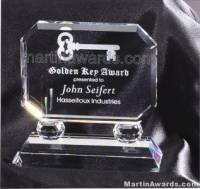 This award offers plenty of engraving room. 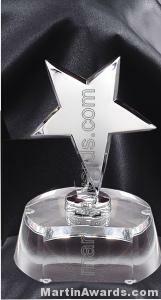 Perfect for 25th Anniversary events.